Euro2016: efficiency scores a goal! 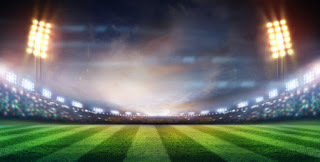 The finals of the European Football Championships in France, where 24 teams will compete in 10 stages to get to the grand finale on July 10th, start today. There will also be a piece of Climaveneta at Euro2016 as there are several units installed in 3 different stadiums: Atlantique in Bordeaux, Allianz Riviera in Nice and the historic Parc des Princes in Paris. The Nouveau Stade de Bordeaux is a new generation multifunctional stadium dedicated to sports and culture, with an adaptable capacity of 42,000 seats where comfort is granted by two Climaveneta units, able to combine the best internal temperature and humidity level, reducing the energy consumption and therefore the operating costs. One NECS-N/CA 2416 reversible heat pump and one NECS-Q/CA 1816 multi-use unit grant maximum comfort all year round with the highest energy efficiency in this futuristic and emblematic stadium. The Allianz Riviera in Nice was inaugurated in 2013 and since then it has hosted the home matches of the Nice team. 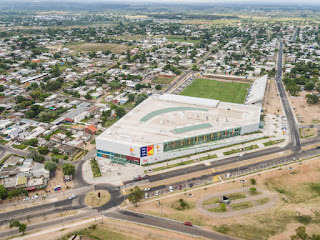 With a capacity of 35,000 seats, it also houses the Museum of Sport, air-conditioned by a Climaveneta multi-purpose heat pump NECS-CQ / B / S 0704. On the other hand the stadium in Paris, the Parc des Princes, was opened in 1972 but with such a modern design that it still looks contemporary, even today. The structure, which can accommodate 48,500 people, has undergone recent renovations, including the installation of 2 Climaveneta multi-purpose heat pumps ERACS2-Q / SL-CA in 2622 for the air conditioning of enclosed spaces both in summer and winter and for the sanitary hot water production, for a total cooling capacity of 1194 kW and heating capacity of 1214 kW.